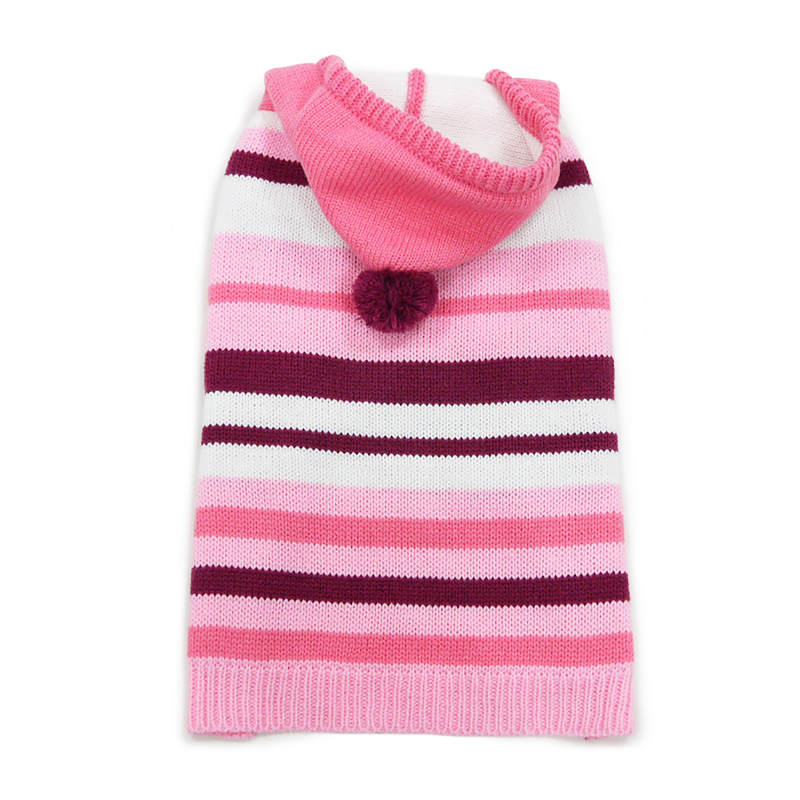 This is a unique looking sweater that your sweet pup will love! 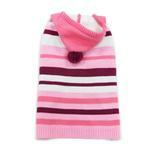 The Uneven Stripes Dog Sweater is a cozy pullover style sweater with a hood that features a fun pompom at the top. The decorative silver buttons on the front on the velvet trim give this sweater some sparkle. 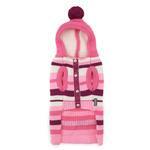 The variety of stripe widths in pink, ivory, and raspberry give this sweater a sweet touch. 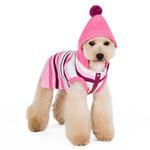 A great way to keep any pup nice and warm, this sweater features a square European cut belly for maximum coverage. The cuffed leg holes lock in warmth. A leash access hole enables you to connect to your pet's collar even if the hood is worn up. This soft and toasty sweater features a 60% wool, 40% acrylic blend for a cozy experience. Look for the black and gray version as well! 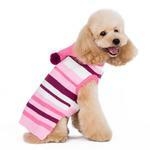 Uneven Stripes Sweater by Dogo - Pink Customer Photos - Send us your photo! Evvy always looks her best, but she's especially pretty in pink! Posted On 01/22/17 by BRIDGETTE A from SAN DIEGO, CA Yes, BRIDGETTE A recommends this product! My little lady just loves her new sweater! Posted On 01/15/17 by BRIDGETTE A from SAN DIEGO, CA Yes, BRIDGETTE A recommends this product! I originally ordered the wrong size, but once my little boo boo's correct size arrived I was smitten with delight! I love this little beauty. I have been very pleased with my BaxterBoo purchases. I love buying goodies for my English Golden Retriever!